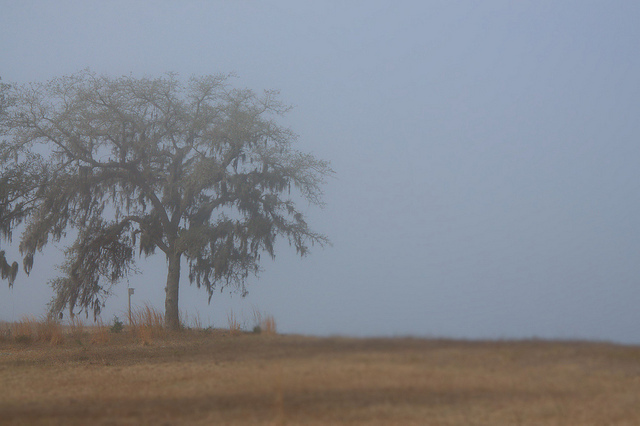 Heavy fog dominated the landscape when I arrived at Crooked River, so thick that it was nearly an hour before I was able to get a photograph. 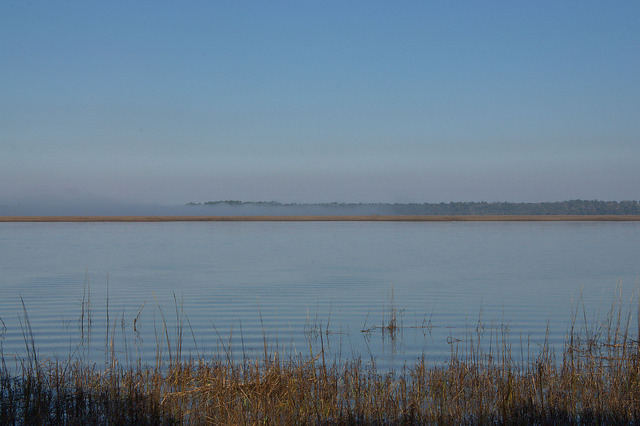 The easiest access to the river is via Crooked River State Park, situated on Elliot’s Bluff, near St. Marys. 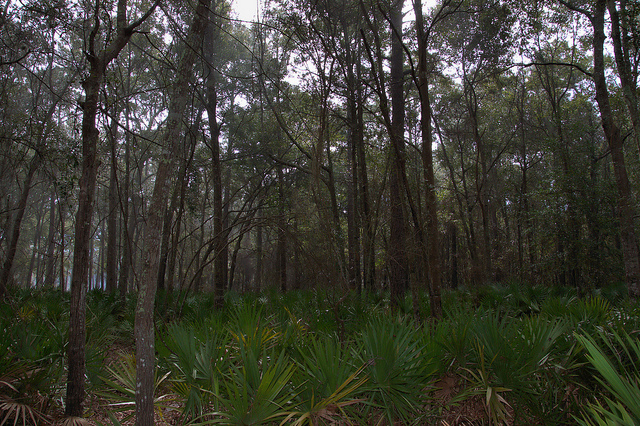 Ancient shell middens characterize many of the forests along the river. 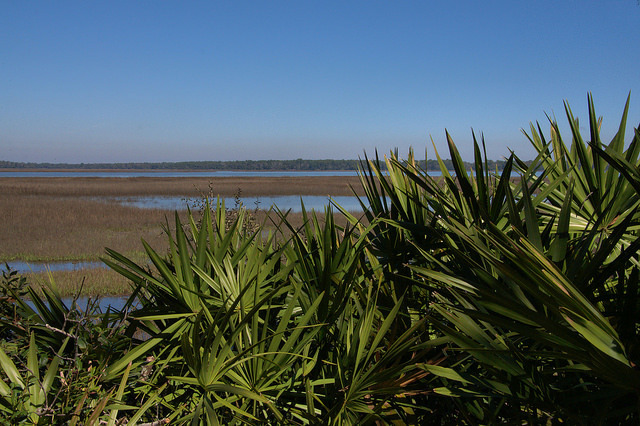 Oaks and palmettos are the dominant plants. 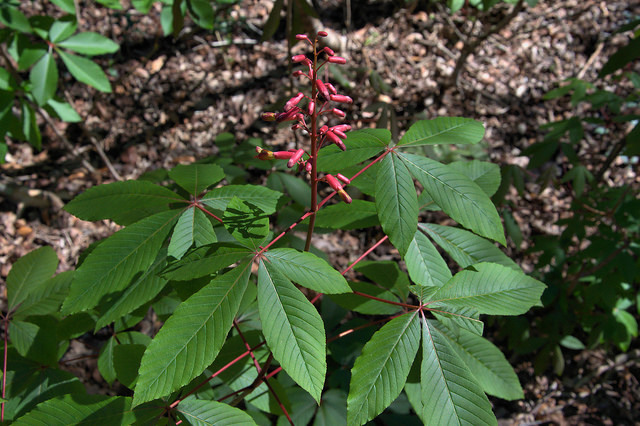 Red Buckeye (Aesculus pavia) can be found in abundance in the forest understory in early March. 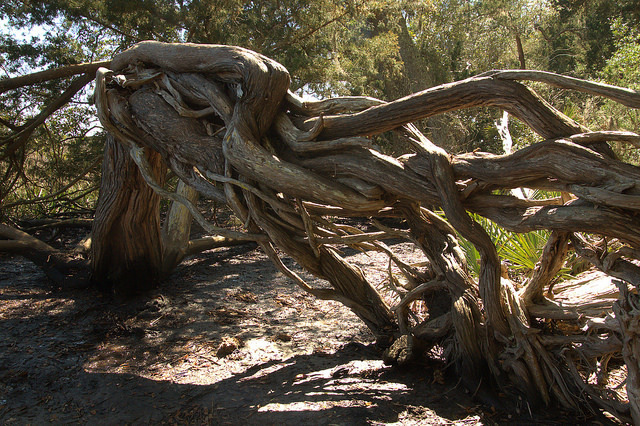 It’s also known as firecracker plant. 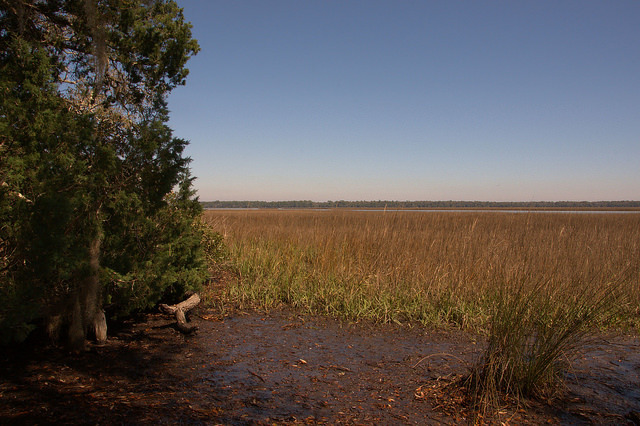 Marshy banks are found below the high bluffs. 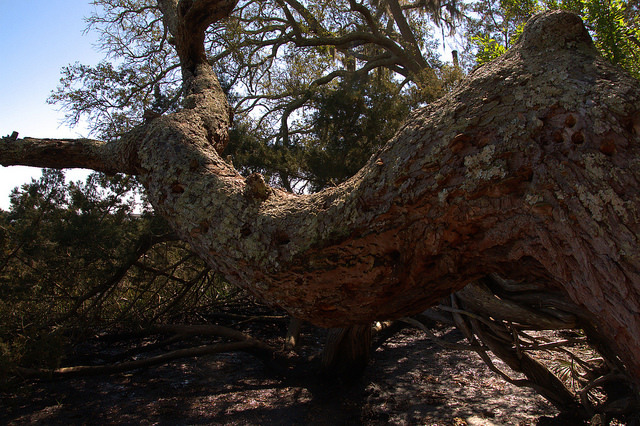 Twisted trunks and branches like the ones seen above are common along Crooked River.